Since 1946, The Walling Company has continuously offered the best products in the industry and supported them with superior customer service! This philosophy is foundational to our success yesterday, today and tomorrow. The Walling Company has provided highly engineered, cost-effective, smart and technically advanced solutions to all of its customers. A recognized leader in highly engineered products! The Walling Company is the official representative for Tranter Heat Exchangers for Iowa, South Dakota and now Nebraska! 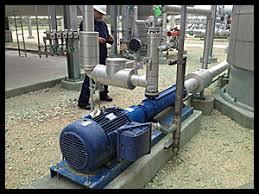 Call us to discuss your heat exchanger needs. For over 70 years, The Walling Company has distributed highly engineered equipment to fit the unique mechanical requirements for all types of industries and utilities in today's fast paced high technology environment. Our success continues to be predicated on representing the top manufacturers in the industry and providing outstanding customer service! For over 30 years, The Walling Company has been a leading Fire Pump distributor in Iowa, Kansas, Missouri, Nebraska, and Western Illinois. Our experience with Horizontal and Vertical Splitcase, Vertical In-Line and Vertical Turbine Fire Pumps is second to none. 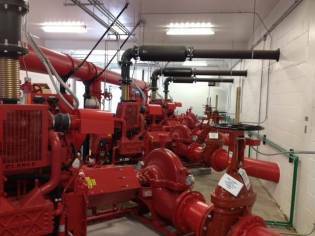 And it is our goal to help each of our customers with their specific fire pump installation, completing the project on time and under budget!